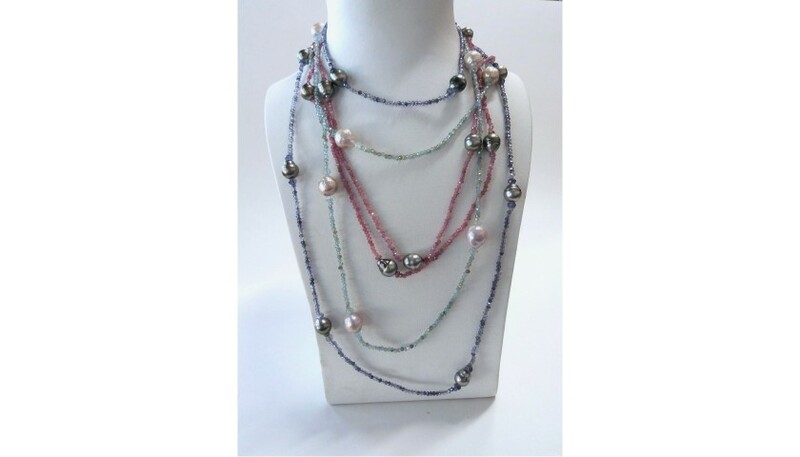 Each of these 44" (112 cm) long necklaces are stunning on their own, but worn together, they truly make a statement. 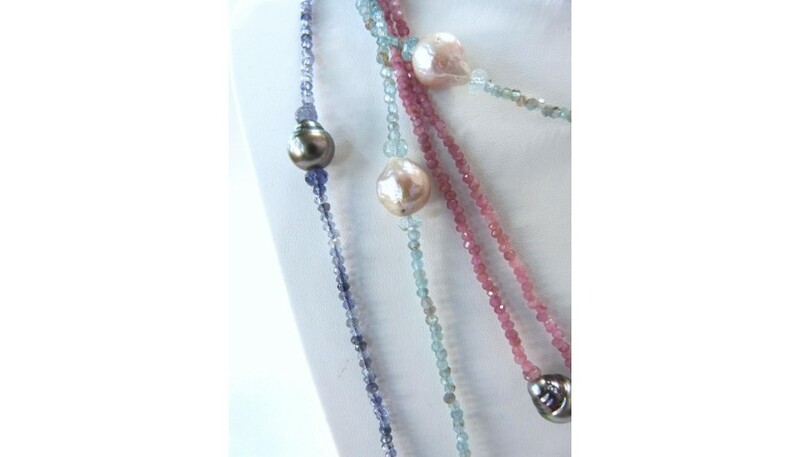 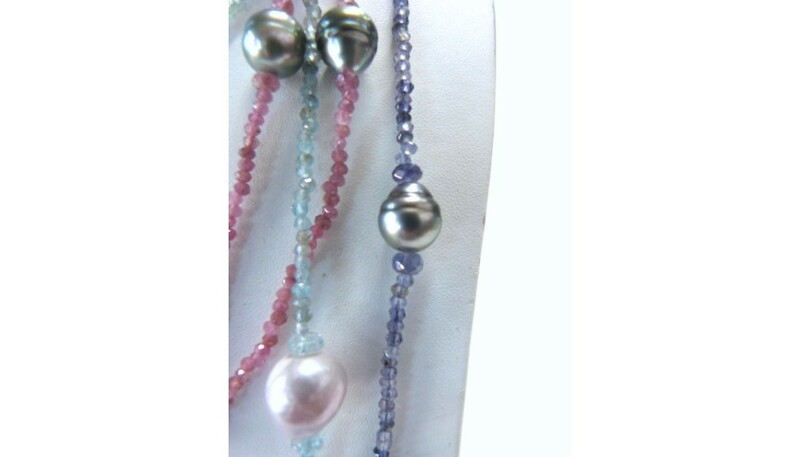 The pink tourmaline and Tahitian pearl necklace, the aquamarine and freshwater pearl necklace, and the iolite and Tahitian pearl necklace were all made in Italy and are meant to give you a variety of styles to choose from: wear them together or on their own, wear them long or doubled, the possibilities are endless! 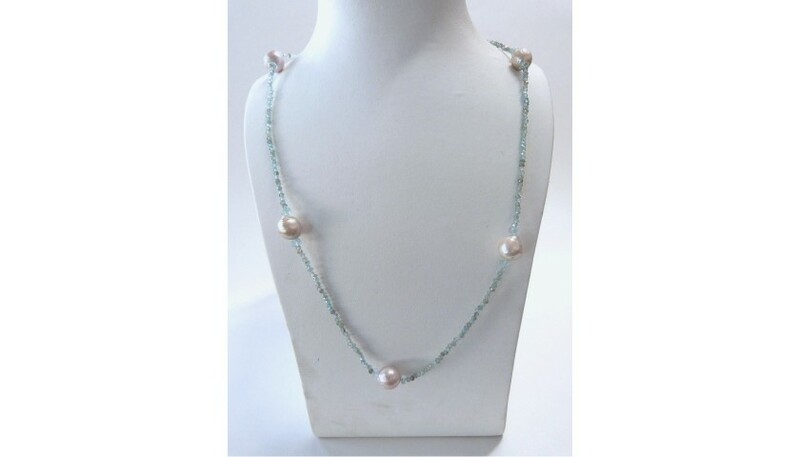 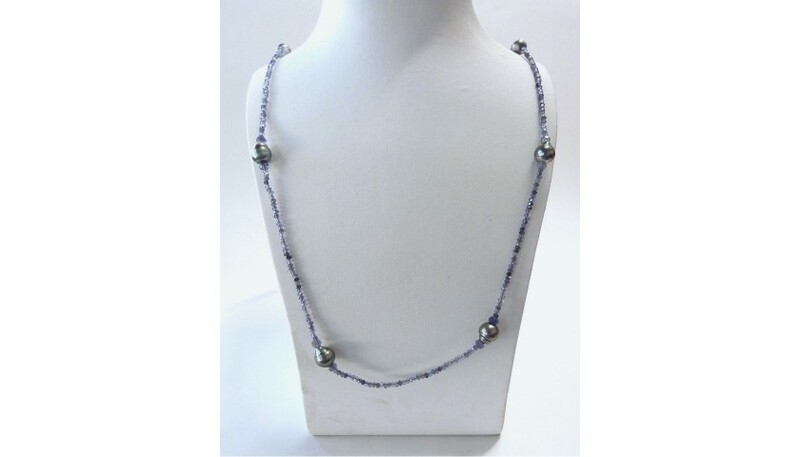 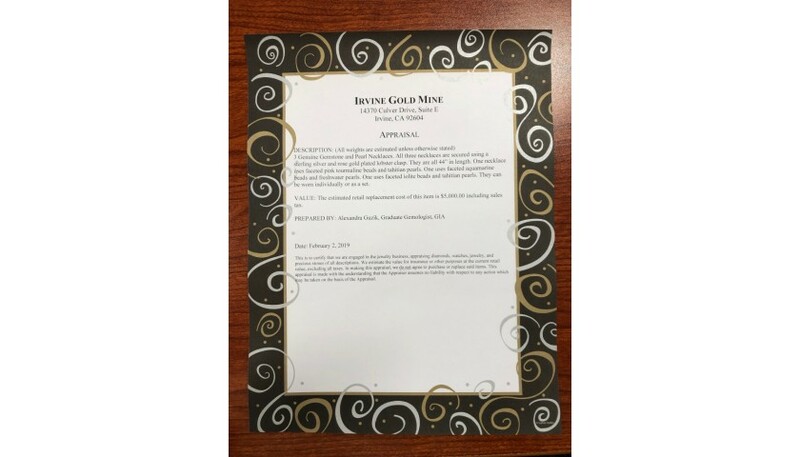 The combination of the colors and the contrast of the white and Tahitian pearls create a look that is simply stunning – bid now or regret it later!